Obama’s speech was as powerful a piece of presidential rhetoric as you will ever hear. But the Democrats’ tactical sequencing this summer was off. He’d better get moving. A few quick reactions jotted within a few minutes of the end of the president's speech. First, we have not really seen a fully passionate speech from President Obama to a national audience since the campaign last year. Not the inaugural, not the previous speech to Congress. Parts were brilliant. He is peerless when it comes to summoning American history and a sense of national purpose. The last 10 minutes of the speech were remarkably moving and powerful, as strong a piece of presidential rhetoric as you will ever hear. Notably, he defended the role of a strong government (in a way he never was willing to do before in such a high-profile forum). Some of the fire was tactical: his attacks on the attacks on the "death panels," for example, were designed to show his fellow Democrats he was willing to fight. The enemy of my enemy, etc. The goal could not have been to “sell” health care, or to move “undecideds.” Until now, there has been no plan. Second, it was startling to see the rudeness displayed by some members of Congress. Yelling "you lie," checking their BlackBerries, waving pieces of paper: enough to get you sent to detention in any middle school. It's hard being in the minority during one of these speeches (Do I glower? Smirk? Solemnly nod?) These members certainly didn't help their Q ratings. Did it work? The goal could not have been, by the way, to "sell" health care, or to move "undecideds." Until now, there has been no plan. Sequencing was off. Democrats made a strategic choice, possibly wise, to try to squeeze legislation through the committee meat grinders (as Norm Ornstein has observed). The idea was to move quickly, then negotiate in a conference committee--then turn on the Obama sales machine. But timing mattered. When Congress failed to act by the end of July, Obama and the Democrats started trying to "sell health care." But there was nothing to sell. Democrats, because they will not embrace single payer (and Obama made a thoughtful argument why tonight), twist themselves into knots trying to achieve the same results—and the result, too often, is cumbersome, sometimes mystifying complexity. I think the president laid out an actual plan tonight (as opposed to a "plan"). I am pleased to hear that the president is not planning to hit the road tomorrow to "sell" the "plan" to the "public." Instead, he will be sitting down with lawmakers. This very good speech should give him some momentum. But he'd better get a deal together soon to capitalize on it. 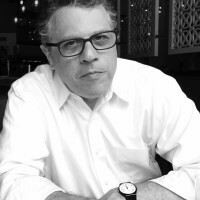 Michael Waldman is executive director of the Brennan Center for Justice at NYU School of Law, and a former speechwriter for President Bill Clinton.